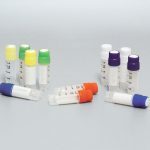 Freestanding polypropylene vials have external threaded caps. 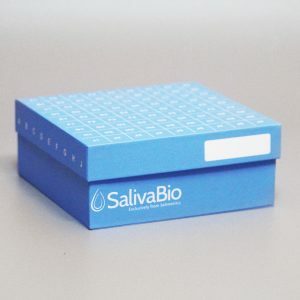 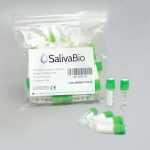 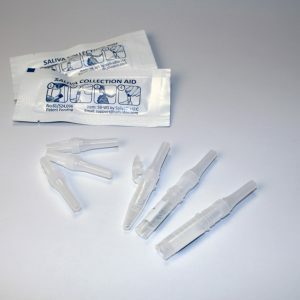 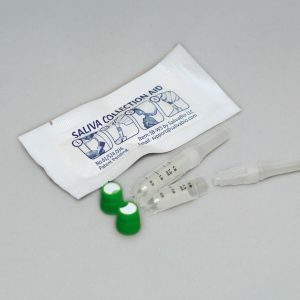 Used with the Saliva Collection Aid for efficient collection of up to 2 mL of whole saliva (passive drool). 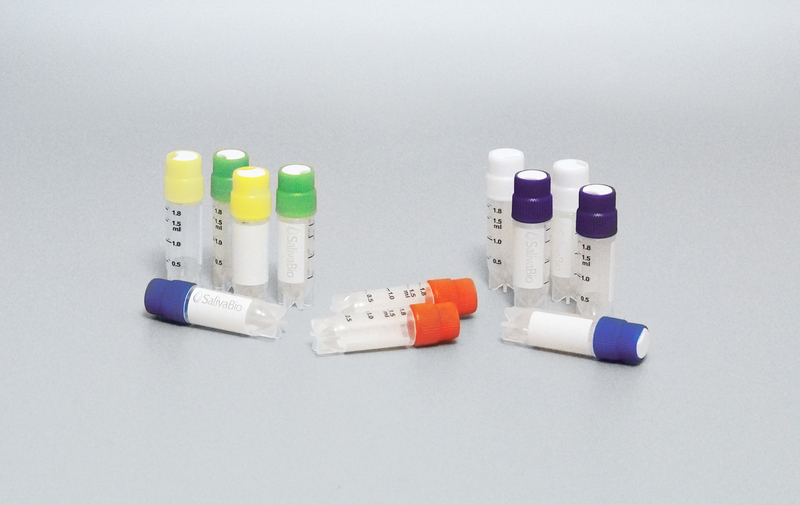 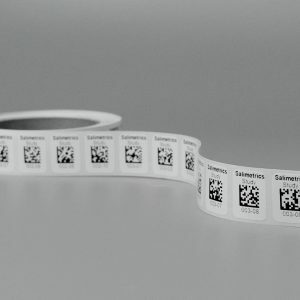 White marking area and color coded caps allow easy sample identification.